At Pacific Salmon Industries we take pride in our products are commited to providing you the best seafood eating experience possible. If you have any questions about our products, concerns, or would like to see new products fom us, we’d love to hear from you. Pacific Herring are small pelagic schooling fish found along in the Pacific Coast. Pacific Herring are bluish green with shiny silver sides and bellies, the flesh is off-white in color it’s very high in oil content and it’s a good source of Omega 3 and Vitamin D. We offer a variety of pack styles and multiple formats based on customer needs. Pacific Salmon Industries has a long history as a major processor of BC herring and herring roe. Herring roe is considered a highly valued delicacy called Kazunoko in Japanese. Herring roe has beautiful golden color and crunchy texture, and is a popular gift during Japanese New year celebrations. More recently, it has become a popular sushi topping in Japan. Albacore tuna are one of the smallest and most migratory of the tuna species. They are distinguished by their dark blue back, lighter blue-gray sides and belly, and extremely long pectoral fins. Adult fish average size is about 55 inches (140 cm), average weight is approximately 132 pounds (60 kg). Albacore tuna is the only species labelled as white meat on the market. 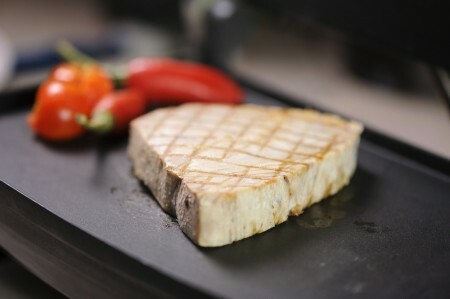 Albacore tuna has low sodium and is a low fat, high protein choice with an abundance of Omega 3. 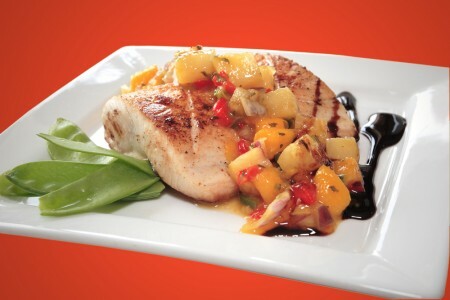 This mild testing fish is delicate and softer than yellowfin tuna, and it is recommended to broil, grill, and sauté. Mahi mahi is a beautiful brightly coloured fish, it has a greenish blue colour on the back and gold or sparkling silver on the lower body. Mahi mahi are fast growing fish, their size can reach to 5 pounds (2.27 kg) in 6 months. Adult fish can reach up to 70 pounds (31.75 kg) and 71 inches (180 cm) in length, average weight is approximately 30 pounds (13.6 kg). Raw mahi mahi flesh ranges from light pink to light tan colour, and the meat colour turns off-white when it’s cooked. 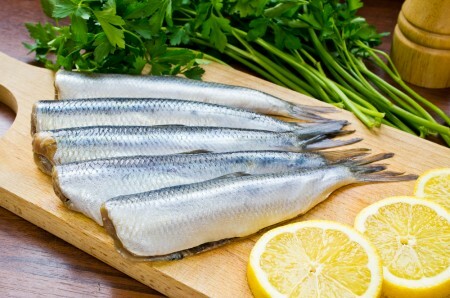 It’s a popular fish because of its large, thick, and moist flakes, and mild almost sweet testing meat, and it is recommended to grill, bake, pan fry, or steam.